The ultimate ingredient in anti-aging skincare. Any skin expert will tell you, if you want to change your skin, Retinol is the way to do it! 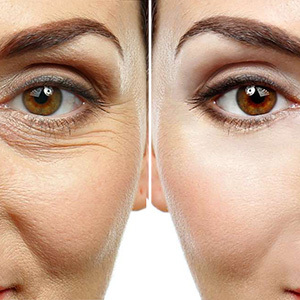 Retinol is a derivative of vitamin-A that produces anti-aging results by encouraging cell turnover processes. You may have also heard of “Retinoids”, these are creams that can only be prescribed by a doctor and can be quite hard on your skin. 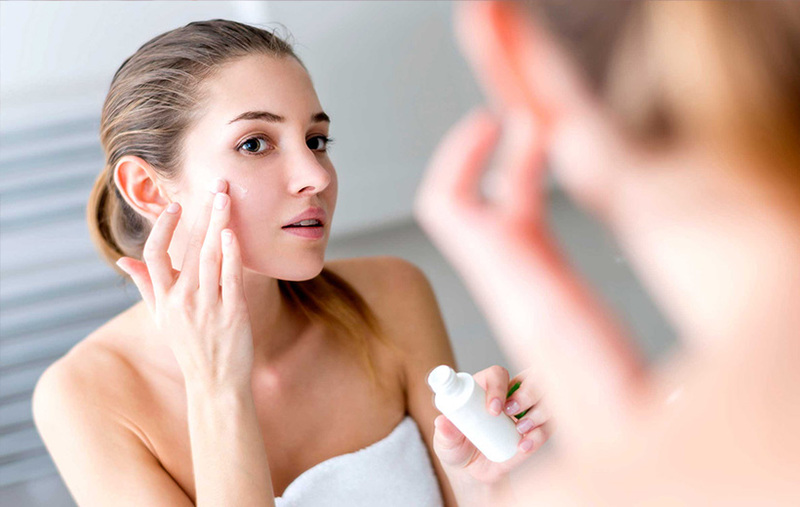 A favorable alternative to these harsh creams is Retinol. Retinol provides the same skin renewal benefits as Retinoids but at a gentler pace, without overly drying the skin like some Retinoids. Incorporating a product with Retinol into your skincare routine will change your skin, and give your complexion an improvement you will notice! WHAT CAN RETINOL HELP CORRECT? Age, sun exposure and hormonal changes all contribute to the formation of pigmented spots on the dermis. 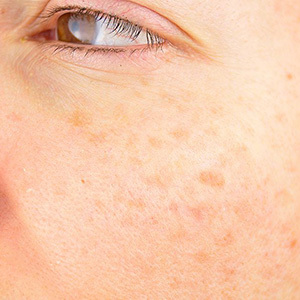 Sometimes called sun spots, age spots or brown spots, these forms of hyperpigmentation can be lightened and even completely removed with laser treatments and the use of retinol skincare. Scars can be the result of many factors like acne, injury, surgery etc. By increasing skin renewal factors, the bodies own healing process is increased by the chemical reaction in Retinol. Using Retinol on the effected area will gradually reduce the appearance of these scars and also offer an improvement in general texture. For pigmented or raised scars the use of a laser treatment schedule in conjunction with at home skincare may be the best course of action for optimal results. One of the key benefits of using Retinol is the improvment in skin texture. 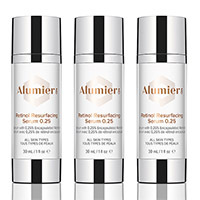 Dry skin, pores, scars, fine lines and wrinkles can all be improved over time with the regular use of a Retinol product. Other at home and in-clinic treatments are also available to resurface skin and help these issues improve further. Gentle concentration for sensitive skin. Stimulates collagen production to improve tone, texture and pigmentation. 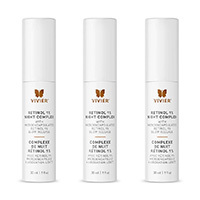 Targets skin discoloration and breaks up existing pigmentation. Brightens skin and helps even skin tone. 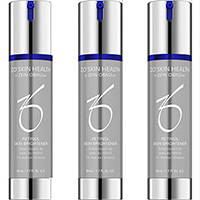 Antioxidant protection and helps support the repair of the skin. High concentration of 1% pure Retinol. Renews and refreshes skin surface while you sleep. Fades wrinkles. Refines pore size. Reduces dark spots. Boosted with antioxidants and soothing ingredients. Call or visit our clinic today and ask about Retinol skincare products and anti-aging treatments that will get you to your skin goals faster!